Here's a superb new space fantasy adventure game from the team at Yggdrasil. If you come to think about it, there aren't a lot of space-themed online slot games that many iGaming developers have released - check out the slots here. This is a real shame when you consider the number of casino gamers that love the thought of going out of this world while winning instant cash prizes too. Fortunately for you, if you're an avid fan of science fiction and casinos, Yggdrasil brings to you Incinerator, the hottest sci-fi slot game that's on the market today! Straight from afar, you get to see the many planets that move in orbit, along with the many asteroids that will cross your path during each round. 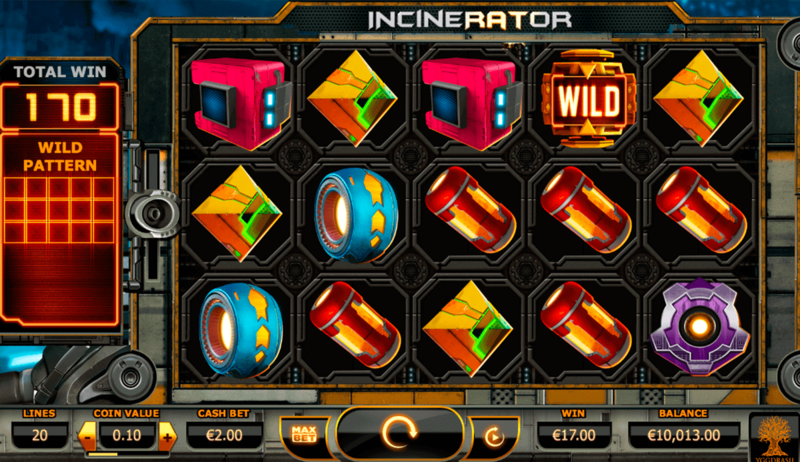 Even if you're not the biggest fan of space or science fiction, you still have to love how the developers have made it so easy for you to make big winnings on Incinerator. Why not play these slot games about Yggdrasil Gaming and their range of games here on Wizard Slots here. With all of the casino game developers that are trying to make it big in the industry, particularly iGaming, there hasn't been one that has surpassed all of its competitors as fiercely and as triumphantly as Yggdrasil. Due to the fact that the last CEO of NetEnt is one of the creators's behind Yggdrasil, you can be sure that they know what they're doing when it comes to developing and releasing casino products. Your intergalactic mission begins with your background settled in the void of space, where all you can see are distant stars, asteroid rubble, and the dark vacuum that surrounds them. 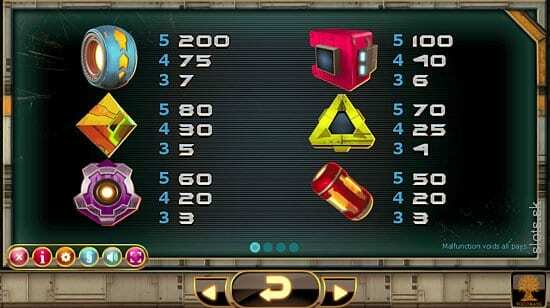 To complete your mission, you have to collect a matching combination of symbols that will win you an instant payout. Check out our guide about picking the top slots for you, there are much games to learn more. Your original stake could be multiplied depending on the value of each icon. The base symbols that will certainly appear on your reels will come in the form of the 6 different types of space rubble, vacuum chambers, space pods, airlocks, nose cones, air-conditioning units, and jet engines. To amplify your chances of making big winnings, make sure that your radar pings when you see an Incinerator WILD symbol float across your reels, along with the cascading reels and WILD pattern BONUS FEATURES that will occur in the game. • Incinerator WILDS symbol: This icon replaces all of the space debris symbols that will help you achieve your goal and get winning combinations. • Cascading Reel BONUS FEATURE: This feature will activate when you make any kind of win. All of the winning symbols will burst into flames and get replaced by other base symbols cascading down above. If you get a winning from those falling icons, you get to bank those winnings too. • WILD pattern BONUS FEATURE: This feature can be triggered numerous times on any game whenever you get 3 consecutive wins in a row, and it will turn all of the allocated symbols into WILDS. There are 16 possible ways to activate the pattern. As mentioned before, there aren't a lot of online slot games that are based on science fiction or even space for that matter. And in my opinion, I would find it very difficult to find another sci-fi based slot game that could beat Yggdrasil's Incinerator. 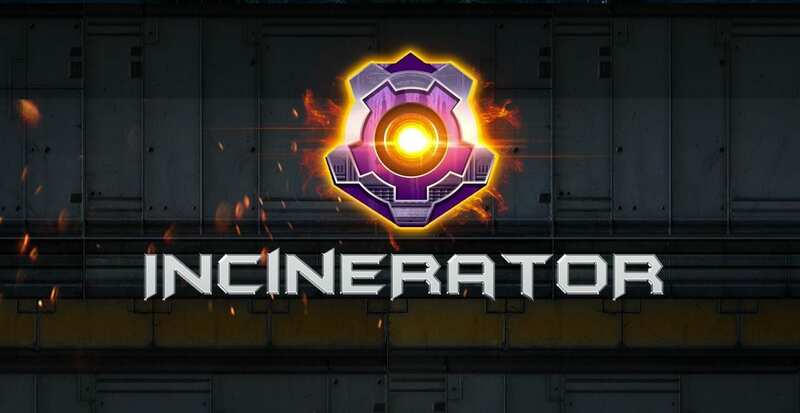 If you find that hard believe, then the next time you finish your errands, sit down on your sofa, turn on your device, and be wowed at how awesome Incinerator is! If you enjoyed Incinerator slots game you might also like Holmes and the Stolen Stones.